As a little kid, i was hooked on the "Dukes of Hazzard" tv series. Jumping cars, Rosco chasing the Duke boys and curious what crazy plans Boss Hogg had this time. (And of course the killer legs of Daisy). Until today, the '69 Dodge Charger is still one of my all time favorite cars. 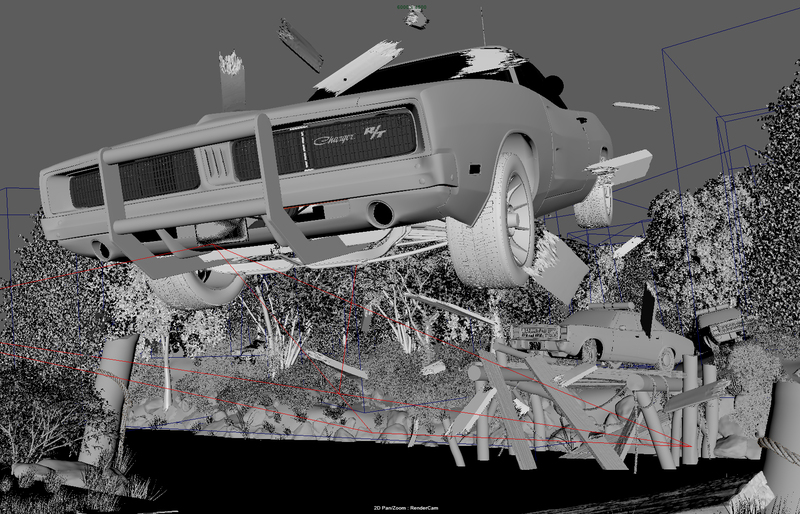 This is how a muscle car looks like to me. 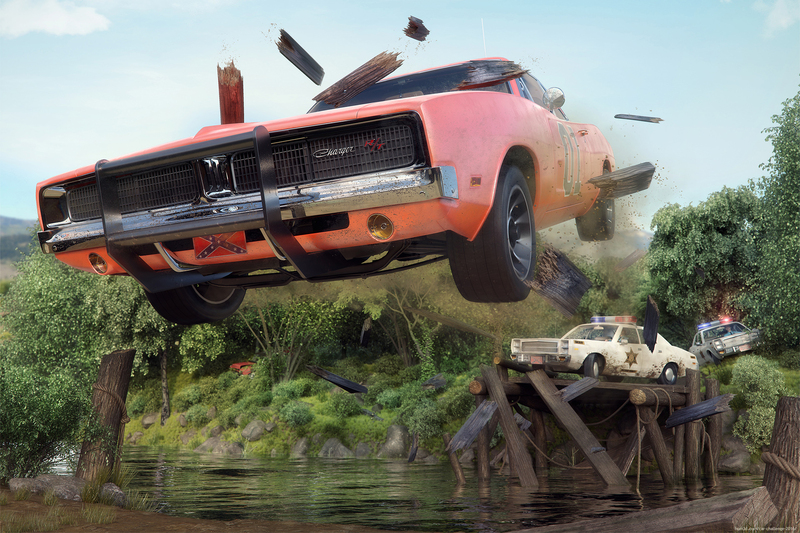 As a tribute to this car and especially to my favorite childhood series i made this action packed car chase scene with the famous General Lee flying through the air, chased by Rosco and Enos. So i made a '69 Dodge Charger in the Hemi-orange with the famous decals on it, and the '77 Plymouth Fury for the police cars. (Early in the series they had other police cars, but from the 2nd season thy used the '77 Fury and i liked these the most).